This centrally located one-bedroom apartment is perfect for those seeking to be near transportation. 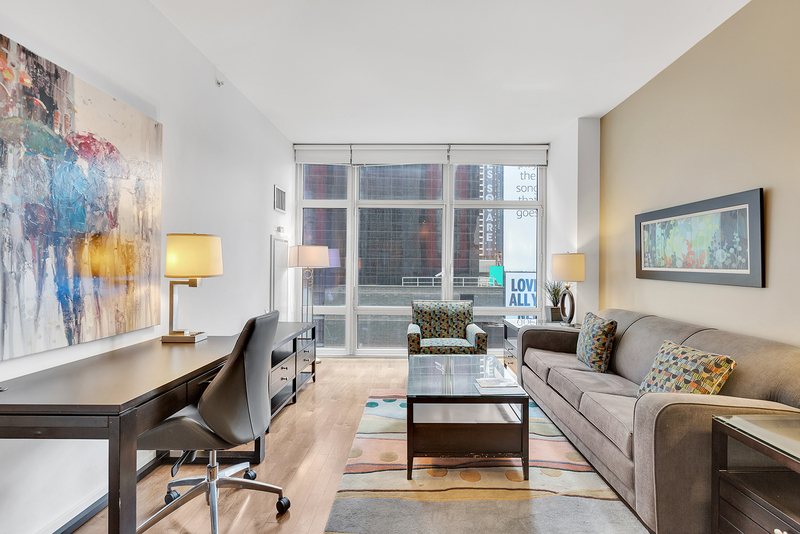 Situated in the most convenient and central Manhattan location, Apartment 11E is fully furnished and turnkey. This contemporary condominium has floor-to-ceiling windows and the east facing living room enjoys wonderful direct sunlight. The apartment has an open kitchen with high-end Bosch oven, Miele dishwasher and Sub-Zero refrigerator, an in-unit Bosch washer/dryer, and a luxurious bathroom. The tastefully designed limestone bathroom has a large soaking tub and trough sink.